De Aar is a small town in the middle of South Africa in the arid Karoo where a lot of people would rather not visit, as for most travellers who seek excitement and adventure many believe that this town doesn’t offer anything for them. But don’t let the size fool you there is plenty to keep you busy. 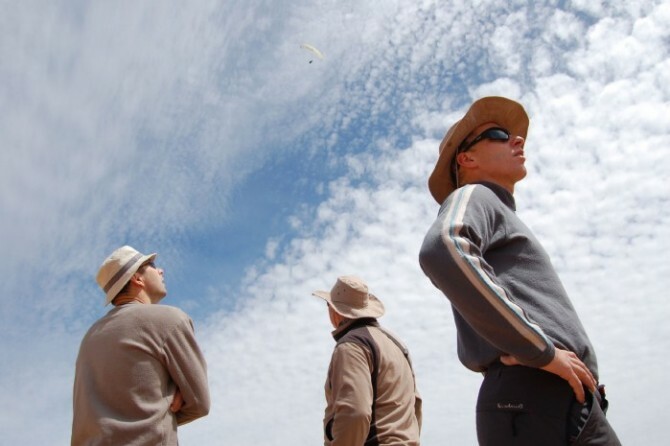 De Aar is well known for steam trains, springbuck & unknown to many- paragliding records. 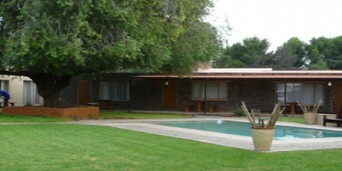 And a place that is perfect to set your own record is FlyDeAar Guesthouse. 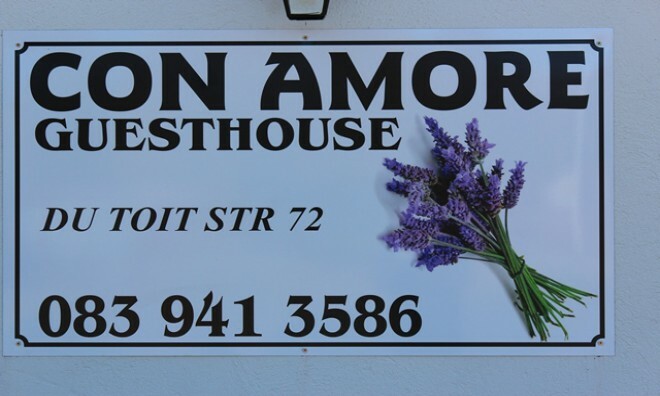 Also known as Potties B&B, it is a small but busy little guesthouse, with eight en suite rooms that accommodates up to sixteen people sharing. 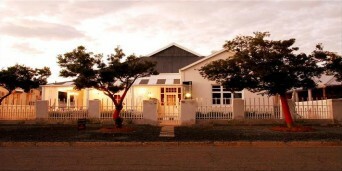 FlyDeAar Guesthouse was established to attract hangliding and paragliding enthusiasts from around the world to enjoy a unique flying experience in de Aar while enjoying the local sights. FlyDeAar Guesthouse is a great place to stay and shows it by having superb facilities and warm hospitality. The guesthouse has a large garden, braai area and pool which makes it the perfect spot to relax, especially after some paragliding or if you’re the girlfriend that has no interest in paragliding but was dragged along it is a wonderful place to put your feet up. This guest house is a welcome oasis, in a harsh but fascinating semi-desert region. 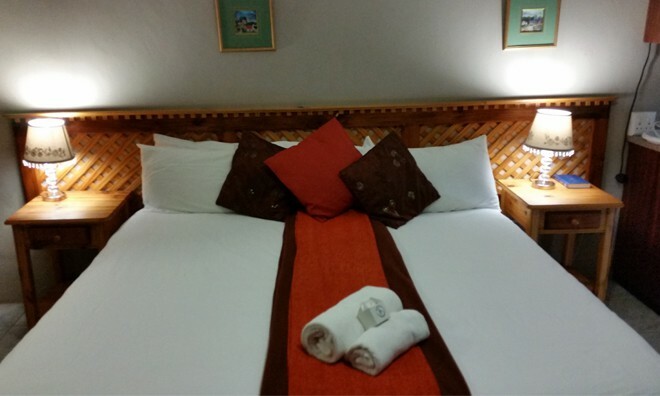 They offer comfortable accommodation topped with a ‘fun’ and friendly vibe. 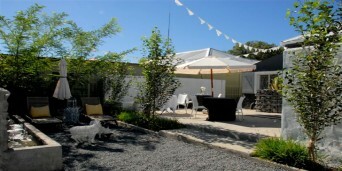 They offer lunch and dinner by arrangement and breakfast. There are takeaways available for early departures or late arrivals. Included in your breakfast you will receive a selection of cereals, yoghurt, juice, a buffet of cold-meats, cheese and fruit, assorted breads and jams plus traditional fried bacon, eggs, sausage, tomatoes and daily extras, as well as tea and coffee. I don’t know about you but I love a good English breakfast with crispy bacon and this place does it well! good service, warm hospitality, relaxing while still being fun, this place has it all. Discover South Africa is your go-to travel directory when trying to find accommodation in De Aar, the Northern Cape and the rest of South Africa. We have committed ourselves to finding accommodation that suits your needs and have gathered information about some of the highlights encapsulating the small town. Any traveller can look forward to a huge number of things to see and do and, most importantly, look forward to the accommodation De Aar has to offer. De Aar is best known for being the second largest rail junction in South Africa. Interestingly enough, the town's title, meaning artery in English, is derived from the underground canal found in the area, but can also be closely tied to the railway junction which experiences high levels of traffic on a daily basis. With many trains travelling from Zimbabwe, Namibia, the Northern provinces, as well as the Eastern and Western Cape, you can savour your journey to the town via train. It's not all about the junction though. The town is also home to stunning Khoisan rock paintings that you can view on farms such as Brandfontein, Nooitgedacht and Damfontein. 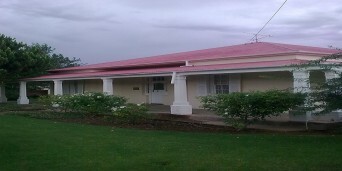 Your choice to stay in accommodation in De Aar will bring you that much closer to experiencing some of the activities and sites on offer in the Northern Cape, including feminist writer, Olive Shriner's home which has been transformed into a cafe and museum. Other attractions and activities to look forward to include the Garden of Remembrance (a tribute to British soldiers killed in the Anglo-Boer war), paragliding and a world famous weather station. 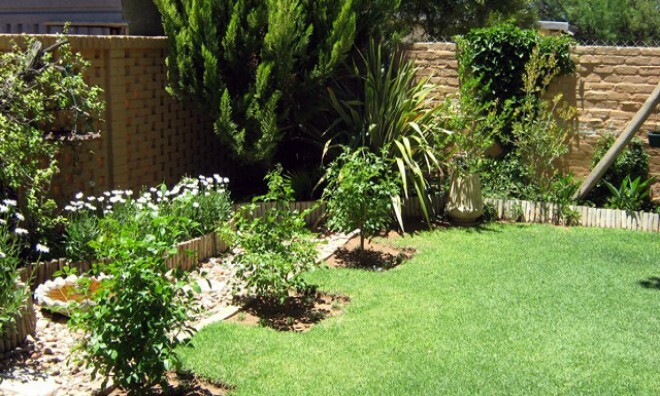 When selecting De Aar accommodation, you will be spoiled for choice, with accommodation on offer ranging from guesthouses, lodges and hotels. The quality of service is tip-top and is attributed to the town being small and quaint. 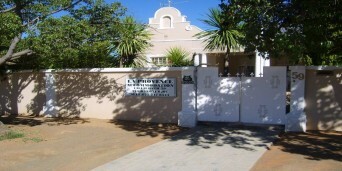 Take your time to explore our selection of accommodation in De Aar and get ready to discover South Africa in all its grandeur.